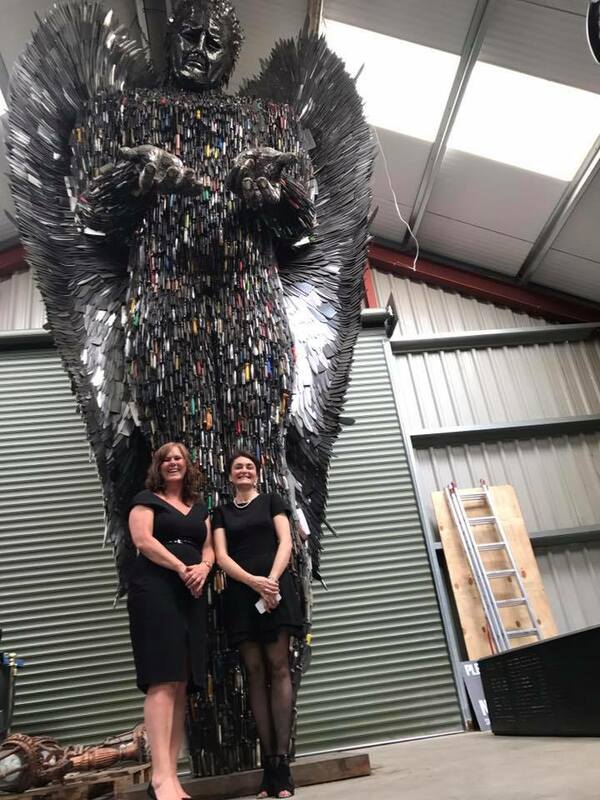 We are very grateful for the Shropshire Star‘s unflinching support and now hope that we can see the Knife Angel reach and fulfil it’s destiny. Beverly Thompson and Petra Smith from the Shrophire Star, are pictured here with the statue. From the 5th June, there will be a blanket ban on filming and photographing the monument until it’s official broadcast, where the monument will be aired on The One Show. There is a total Knife Angel embargo on media groups, until the BBC One Show release the story. This will of course disappoint some, but it is critical that knife crime is showed in the footage and with the One Show being on a national stage, it will certainly help the campaign. Therefore we have to oblige and secure the Knife Angel workshop and screen viewings to ensure nothing goes live prior to the show going out.